Hurricane Ike slammed into Houston in September 2008, with winds of 145 mph. Low-lying areas of the city were inundated with flooding, and winds damaged roofs and broke windows. People of modest means in six neighborhoods near downtown suffered an inordinate amount of damage in the third-costliest hurricane in the U.S. 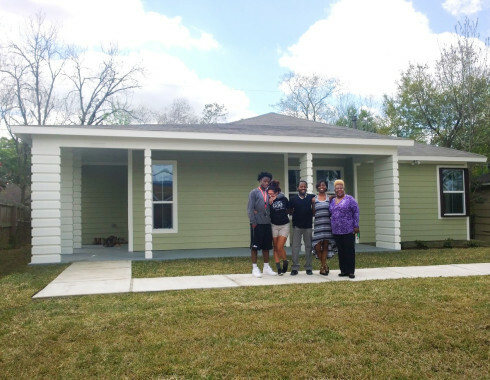 The City of Houston is assisting homeowners with significant damage through a Community Development Block Grant from HUD, replacing up to 400 homes on individual lots. 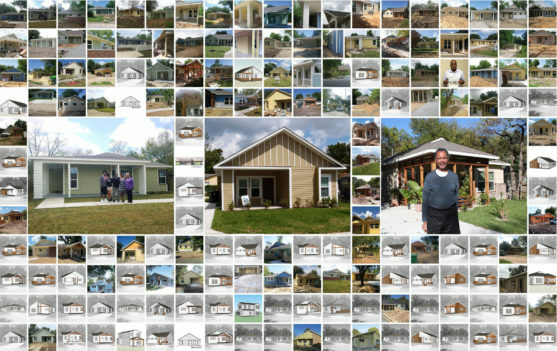 Through a partnership with unabridged Architecture, buildingcommunity Workshop, and the Gulf Coast Community Design Studio, three firms experienced in community and disaster-relief design projects, 16 different house types were planned for neighborhoods including Sunnyside, Old Spanish Trail, Near Northside, Acres Homes, Fifth Ward, and Independence Heights. The neighborhoods include original designs ranging from bungalows to mid-century modern ranch houses, and replacement houses use similar language and materials to fit the varied context. 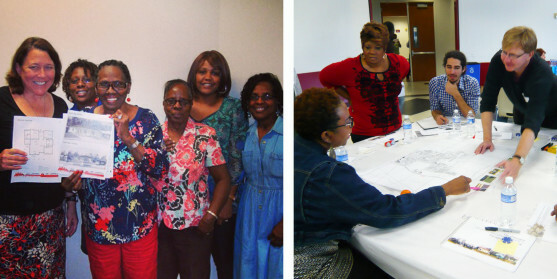 Each homeowner chooses a design and finish package, and works with the designers to establish a site plan. The result is the revitalization of strong, working neighborhoods with many families that have occupied their property for decades.